Black linen 11 x 17 cardstock - 100lb: This thick, heavy, l00lb cover stock is a rich black color with a subtle linen, or woven finish on both sides. 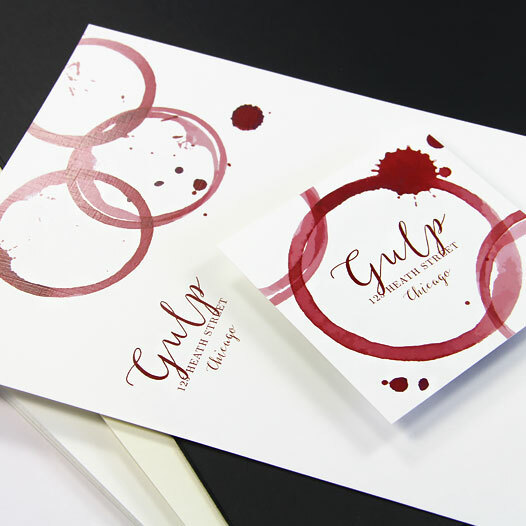 Cardstock can be printed with conventional methods such as foil stamping, offset, and embossing. 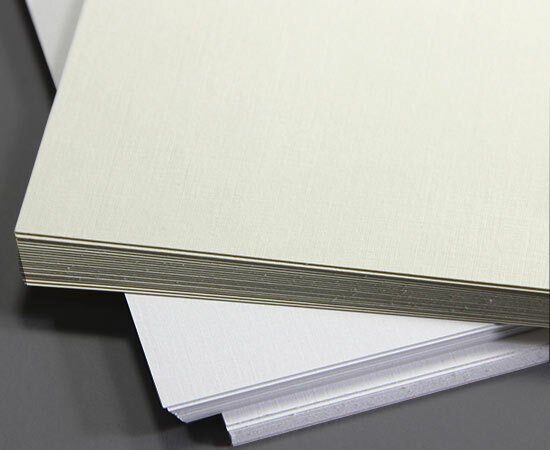 Due to the heavy weight and embossed texture of this card stock, we encourage you to order a sample to test print prior to purchase. 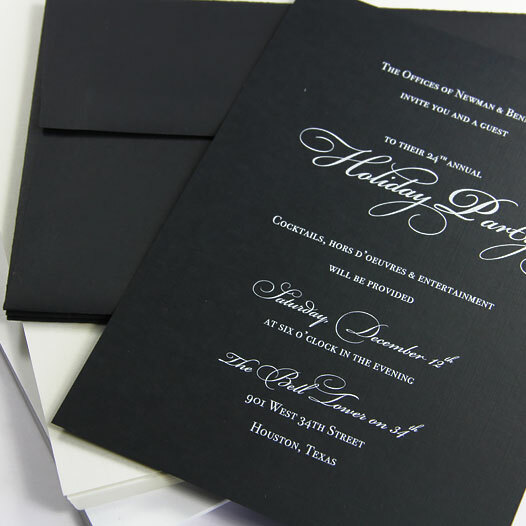 Timelessly stylish, black linen card stock is great for high end invitations, stationery, and packaging alike. Matching black linen envelopes are available in a variety of sizes to complete your ensemble.